What lessons can we learn from noteworthy projects that failed or were delivered successfully? With the aim of learning from past failures, this section analyses, using a simplified framework developed over more than ten years, a notorious project that was poorly managed and was terribly unsuccessful. What is fascinating about all projects is that they all share a set of common characteristics, which, if well understood, soundly addressed, and actively managed; can increase the chances of success and minimize the risk of failure. Project Glass was an effort from Google to develop augmented reality glasses through an optical display designed in the shape of a pair of eyeglasses. Google Glass is essentially the internet in your eyes. Sort of like your smartphone as a pair of glasses. Using voice commands, you can dictate what the glass does and how it acts. For example, a hands-free camera means that you can take photos and videos through voice commands. Time Magazine named it one of the “Best Inventions of the Year 2013.” Google Glass did the rounds on the morning and evening shows. Presidents from around the globe tested them. Prince Charles wore a pair. As did Oprah, Beyoncé, Jennifer Lawrence and Bill Murray. Even “The Simpsons” devoted a show to Google Glass. Yet, these revolutionary glasses, introduced on April 4, 2012 during a Google I/O Congress with an extraordinary live skydiving demo, ceased to be produced in January 2015. The Google Glass project was canceled after less than two years of sales. Let’s analyse, using our standard framework, the most important elements neglected that made Google Glass project fail miserably? 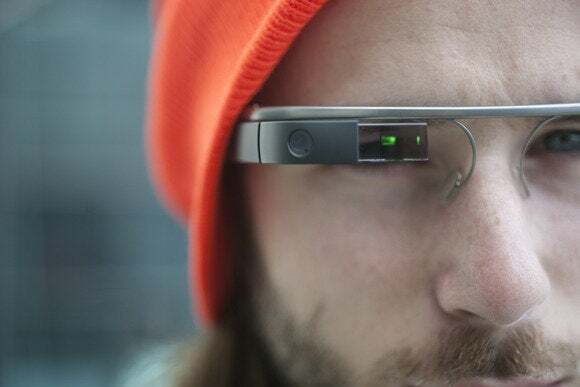 The Google Glass business case was defined poorly and wasn’t as a clear as it should be. I wonder if Google had actually developed a formal business case for the project. The biggest issue with Google Glass is that they targeted the wrong market. Glass could have been a transformational tool for professionals. Truck drivers or pilots could instantly access directions and reports to help them navigate without lifting a finger. Also machine operators, police, security personnel, or physicians could have gained a lot from the device. Yet, these professionals weren’t a priority for the makers of Google Glass. Instead of doctors, engineers, executives, Google wanted to be seen as hip from the get-go, so prototypes were given to early adopters and celebrities, in the hopes that the mystique would drive customers to pay $1.500 for the hot new gadget happily. Only it didn’t happen that way and Google had to stop the project. Another significant flaw was that Google X thought the people were ready to wear cameras on their faces but never validated that assumption. Would users be comfortable wearing a camera around their faces every day? Had Google focused on developing the product for the B2B segment, Google Glass would likely still be alive – and thriving. One of the biggest issues with the Google Glass project is they were not able to build momentum around it; they didn’t set a clear date for the official launch of the product. Consumers were never tuned into an actual product release date—or where they could purchase the product. In fact, Google X co-founder Sergey Brin, suggested Glass to be treated like a finished product when Google started selling to the public, despite everyone in the lab knew it was more of a prototype with major twists to be worked out that was being marketed and sold as a product. Google should’ve learned from Apple on how to create buzz about new products with a well-known release date. Being a strategic project coming from the top of Google, the Glass project had unlimited budget, both cash, and resources. This is what every project manager dreams for their projects, often being one the biggest constraints we have to deal with. Yet, despite this significant advantage, the project was not successful. If your end product doesn’t’ deliver the desired quality, the project was not well managed. Defining the expected quality of the final product (and its features), and ensuring that they are met, via regular tests and pilots, is a fundamental task of a project manager. Google Glass faced serious quality issues since its release. The product was in constant evolution, some functions – notably the ability to make live video calls – were removed during software updates. From the number of issues faced, the Google Glass project didn’t have a well-defined quality plan. This is an excellent case to highlight one of the recurring issues in many project communication plans: they tend to focus on features (or deliverables) instead of benefits. Although Google did communicate a lot around Google Glass, there was no much depth in their marketing campaign beside just making it seem like it was a GoPro replacement. The incredible potential of Google Glass got muddled somewhere between celebrities wearing them and consumers not knowing exactly why they needed them. The 2012 demo featured skydivers and bikers using the device, there were displays during fashion shows, royalty wearing the glasses. Communication focused on the product capabilities: a 5 mega-pixel camera activated by a 30-degree tilt of the head, a touchpad on the side allowing users to control the device, etc. Google never explained how they could benefit the education system or science research instead. From this brief analysis, it is clear that the Google Glass missed some of the fundamentals to be a successful project. Larry Page and Sergey Brin, CEO Founders and chief sponsor of the project, should have ensured that there was a solid business case behind. Fine, it was an R&D experiment, but then that should have been clear too. The fact that they were missing a clear deadline for the launch of the finished product, made the project drag along. The power of deadlines to focus teams is something that every project manager is aware of. On the other hand, I have to praise Google leadership team’s courage for not hesitating to stop the project and recognize its failure. One of my mottos is “a failed project, if you learn from it, is like a free MBA”. And knowing the history of Google, it is very likely that they will be able to extract some valuable lessons from this failed project, both on the technology, as well as on the project management side. In a few years, they will come back with Google Glass 2.0 with more chances to succeed. Any thoughts on what Google could have they done differently? Antonio Nieto-Rodriguez is the world's leading champion of Project Management and Strategy Implementation. He is the creator of concepts such as the Hierarchy of Purpose featured by Harvard Business Review, as well as the Project Manifesto, which argues that projects are the lingua franca of the business and personal worlds from the C-suite to managing your career or relationships. Antonio has been recently nominated Thinker of the Month by the prestigious Thinkers50.com, who identifies the most influential management thinkers in the world, including Michael Porter, Clayton Christensen, Rita McGrath. Antonio is Director of the Program Management Office at GlaxoSmithKline Vaccines and past Chairman of the Project Management Institute.